Hello! Last week the Stamper's Dream Team peeked some gorgeous samples of JustRite Stampers latest release. 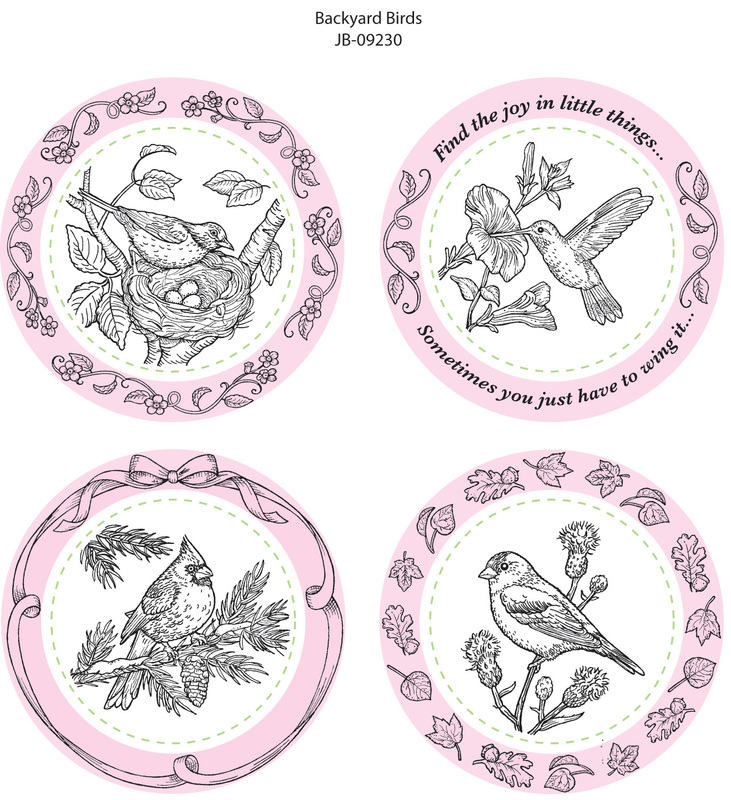 Today JR is officially introducing Backyard Birds on the JustRite Inspiration blog. 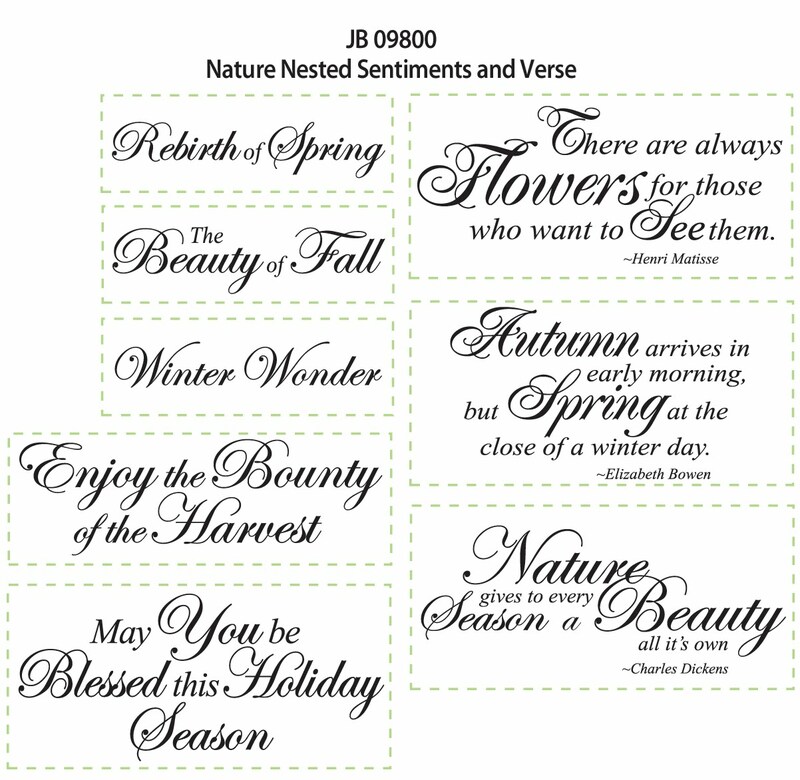 If you'd like to see all the peeks and today's samples, please visit the JR blog for links to all designers who have made projects with this new set. 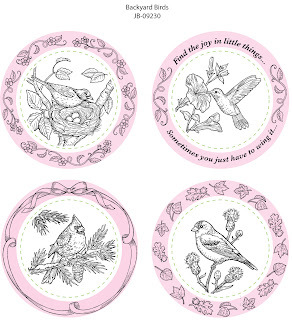 It is a set of 4 lovely bird images (the American goldfinch, robin, hummingbird, and cardinal) and 4 coordinating borders. I wanted the sweet hummer to be the focus of my card, so I attempted to keep my layout simple. I stamped the image using Tsukineko Memento Tuxedo Black and colored it with Copic markers: 0, C0, C1, C3, E21. E25, G12, G14, R20, R24, R29. See the links for the ink and markers? In case you haven't heard, JustRite is now carrying the full line of Tsukineko Memento ink pads and a special selection of Copic sketch markers! For more information regarding which colors are being sold (both as singles and as bundles), please see the JustRite announcement HERE. Just a reminder... there is still time to get your FREE JustRite 2010 catalog.. details HERE! JB-08117 Wood Stamper 3 1/4"
Accessories: Copic markers (0, C0, C1, C3, E21. E25, G12, G14, R20, R24, R29); Zva Creative pearls, foam tape, sewing machine and ivory thread. Oh these are WONDERFUL!! I love them all, but especially the one with the nest. 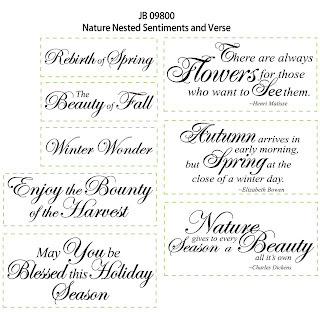 And the sentiments have a lovely font, don't they? All are must haves! That hummingbird is gorgeous. Also one of my very favorite birds. We have them all summer long. I just got my first order from Just Rite. Couldnt' believe how quick they were. I ordered on Thurs and got my order on Sat. Haven't had time to play... but soon I hope... Thanks for all the help. 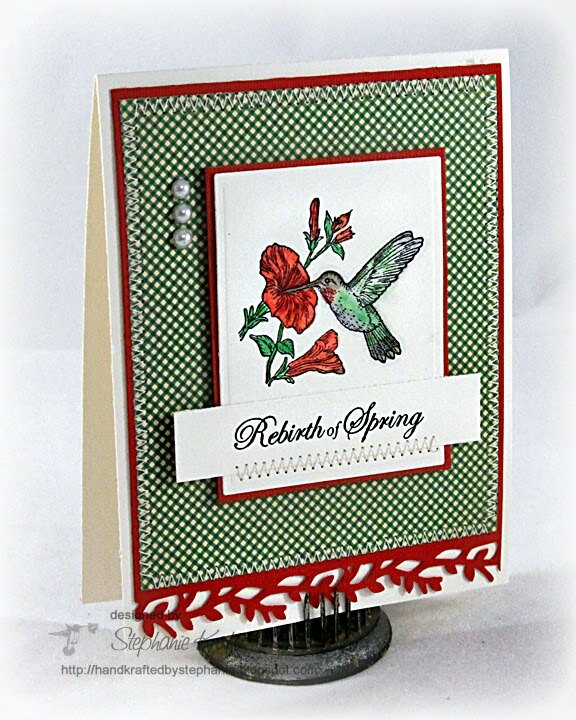 Ohhhhhhh, this hummingbird is my VERY FAV from the set...and I LOVE how you colored it. Such a striking card! Such a lovely card! I love the border.